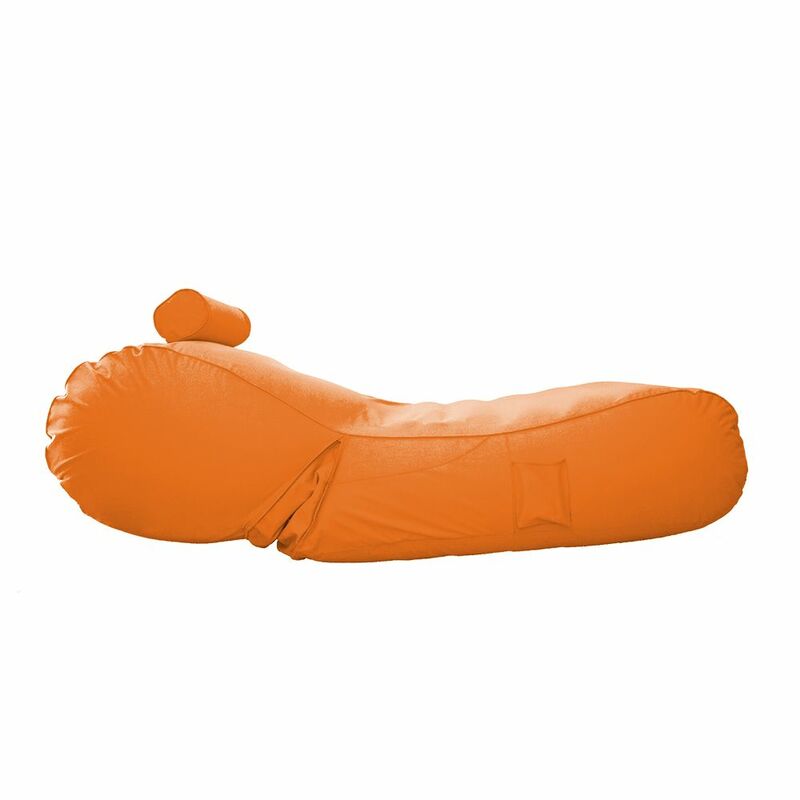 Aqua Sunlounger - Inflatable Pool Float (Orange) Make the most of the dog days of summer with this deluxe oversized pool float complete with headrest and side bottle pockets! The ultimate in poolside luxury, this covered inflatable chaise-style lounger features UV- and rain-resistant 600-denier polyester that can be removed for easy cleaning. Thick enough to feel like you are floating on air, long enough to keep your entire body out of the water while relaxing, the Aqua Sunlounger inflatable swimming pool float lounge chair can be used in and out of the pool.